Padraig O’Malley was called many things; however, one thing that everyone agreed upon was that he was a peacemaker. Patience, persistence, empathy, and occasionally using “the Irish card” aid the tall, bearded man from Dublin to do what he does best: negotiate. In the documentary film The Peacemaker, Padraig O’Malley, who serves as the John Joseph Moakley Distinguished Professor of Peace and Reconciliation at the John W. McCormack Graduate School of Policy Studies at UMass Boston, travels between his isolated life in Cambridge, Massachusetts to the farthest reaches of the earth to bring about reconciliation and to resolve violent conflict between divided societies in political transition. 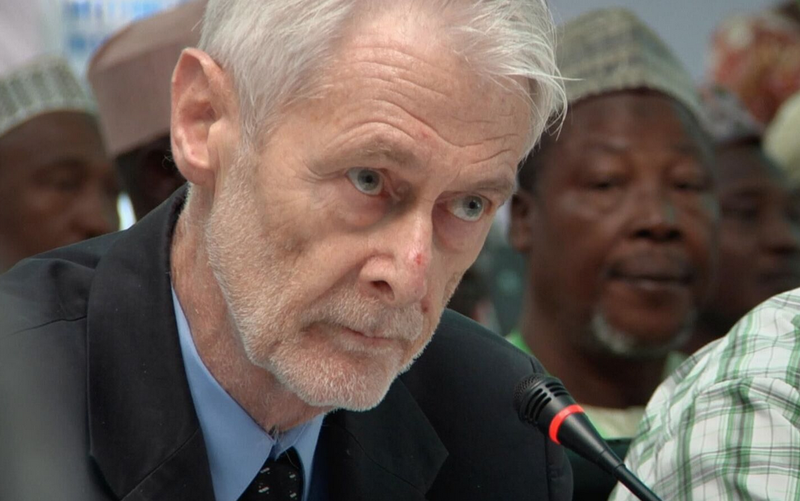 Directed by Cambridge-based independent filmmaker James Demo, The Peacemaker was shot over six years in the city of Boston, Massachusetts as well as perilous, diverse locations all around the world, including Northern Ireland, Nigeria, Iraq, and Kosovo. 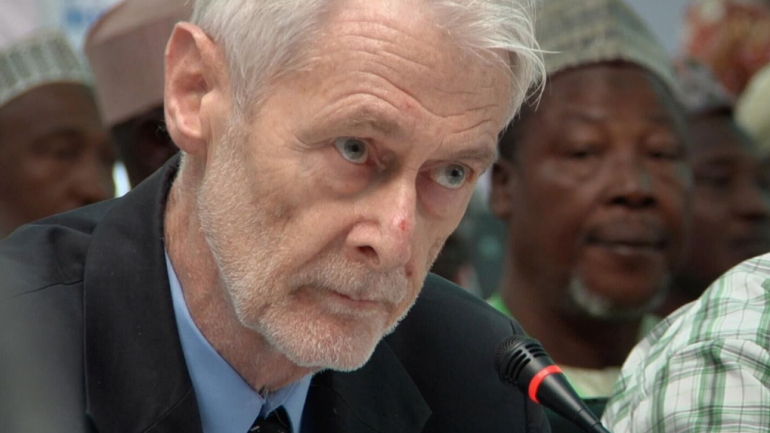 The film gives viewers a glimpse into the day-to-day life of Padraig O’Malley, including his many conferences and negotiations with leaders from violence-stricken and war-torn nations. 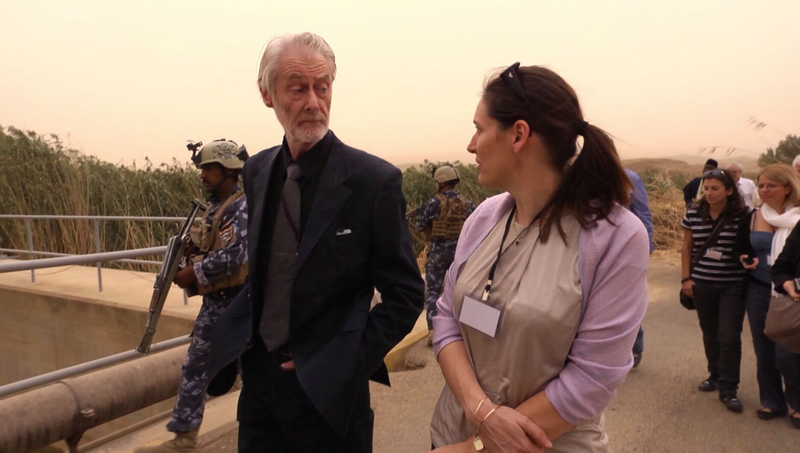 Although Padraig O’Malley’s life goal is to bring about peace in foreign countries ravaged by conflict and extremist violence, the one place he can’t seem to find peace is within himself. According to a friend of O’Malley’s interviewed in the film, “Padraig is dedicated to exploring the dark side of human nature”. Though O’Malley is deeply concerned with why people engage in violence, the most burning dark side of human nature over which O’Malley obsesses in The Peacemaker is human addiction. Flying across continents to resolve global strife gives O’Malley the opportunity to avoid the crippling conflict within his own mind. Although at one time, alcohol served as the social lubricant that aided O’Malley in bonding with those he sought to help, in 2002 O’Malley came to terms with the realization that alcohol had become a destructive addiction. From alcoholic to workaholic, O’Malley swaps one addiction for another. After 13 years of sobriety from alcohol, being a peacemaker gives O’Malley a life following addiction recovery, distracts him from his alcohol withdrawal symptoms, and helps him escape from personal despair. O’Malley takes inspiration from alcoholic recovery meetings when his addiction provides him with a model for peacemaking: “As one alcoholic is in the best position to help another, so people from divided societies are in the best position to help each other,” explains O’Malley in the film. One question however remains unanswered. Is Padraig O’Malley on a quest for world peace? Or is the troubled Irish man simply searching for personal salvation and meaning in the empty chaos that is his life? The Peacemaker is a poignant film about a man who faces his internal demons by bringing together societies who are facing their own demons of terror, violence, and destruction. In a time when we are constantly being bombarded by news in the media of national political strife, activist demonstrations urging for equality, and images of general global distress, The Peacemaker challenges us to incorporate O’Malley’s philosophy that we are in the best position to help one another and that by standing together in unity and working together with respect for our differences, we can follow in O’Malley’s footsteps toward peace.